Plans activities that benefit the community. Plans activities to benefit the enjoyment of the council membership. Distribute the Church’s teachings on the sanctity of life as outlined in the Study Guide to Evangelium Vitae (#2914). 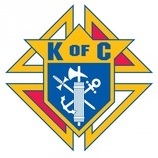 The guide has been prepared by the Knights of Columbus for groups and individuals who wish to become more familiar with the Church’s teaching on the respect due human life as presented by Pope John Paul II in his 11th encyclical, Evangelium Vitae (The Gospel of Life). Copies can be obtained for 25 cents per copy from the Supply Department.Contact right-to-life committees or other pro-life organizations in your area. Work to coordinate your programs with those already in existence. Volunteer support, manpower, and finances. Give gifts of thanks and congratulations to women who have “chosen life” by carrying their babies to term. On behalf of your council present new mothers with practical gifts like diapers, food, blankets or clothing. Participate in the Order's Ultrasound Initiative. Consider donating Christmas gifts to newborns and their single mothers temporarily housed in shelters. Work with local social service agencies or programs that counsel women to keep their babies or place them for adoption. Sponsor a “Tree for Life’’ program to collect baby items and supplies for unwed mothers and crisis pregnancy service centers. Consider presenting roses from the council to all mothers attending Mass on Mother’s Day. Plans activities to benefit the council membership and their families. Prepare the training manual and guidebook, including all the necessary forms to be completed by the councils. Receive, review, and verify all council requests for distribution of their portion of the funds collected, prior to the approval of the Foundation President. Annually prepare a list of proposed recipients for the State portion of the funds collected. Present to the Foundation Board of Directors for approval. Determine what councils will receive awards and assist in the distribution of these awards at the annual convention. Provide youth with the means and the opportunities to become personally committed and involved in meeting the challenges of our times. Recruit more men from the council level to work with young people. These adult leaders will help to mold the youth of today into the influential citizens of tomorrow. Exert more positive and constructive influence on young people by becoming involved with them. Pay more attention to what they are saying. Demonstrate your support by sponsoring a Columbian Squires circle, aiding the Big Brothers/Big Sisters program, promoting the Boy Scouts, or helping to combat drug and alcohol abuse.